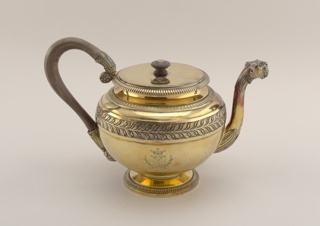 Museum purchase with General Acquisitions Endowment. 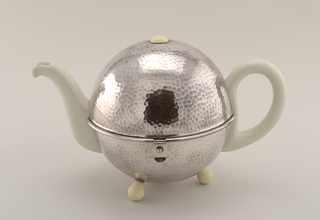 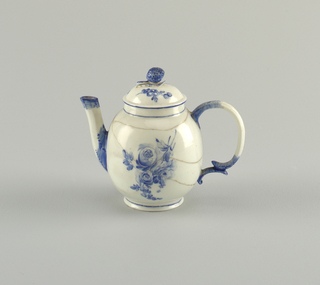 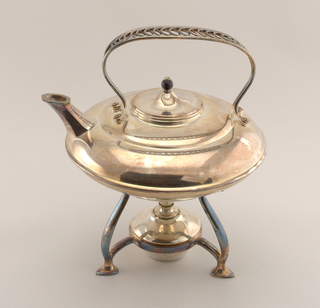 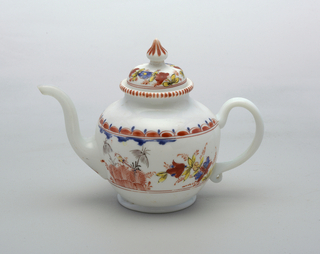 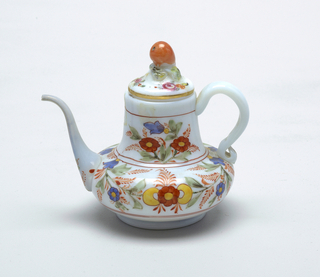 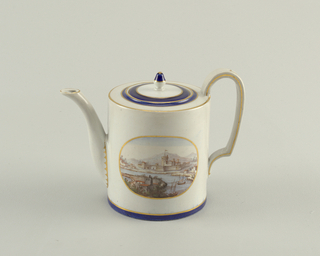 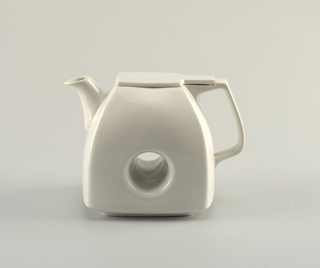 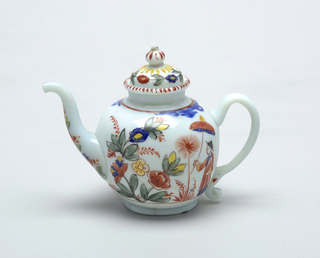 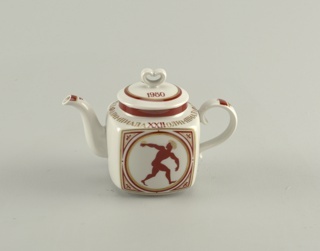 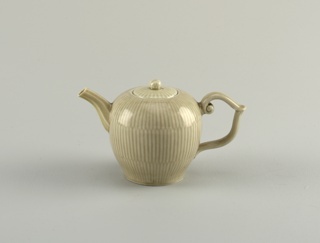 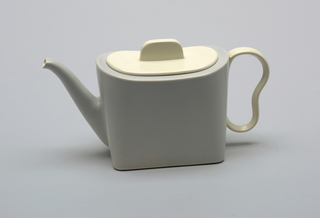 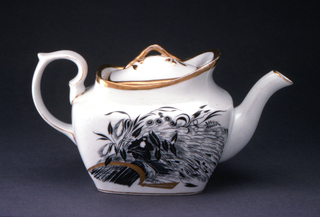 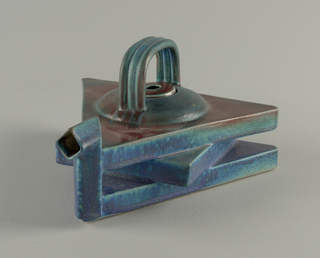 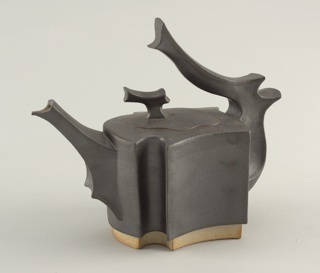 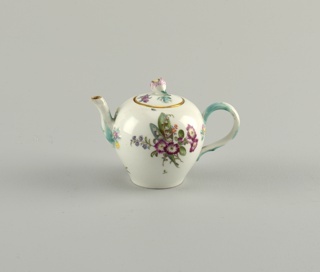 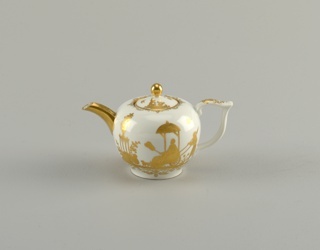 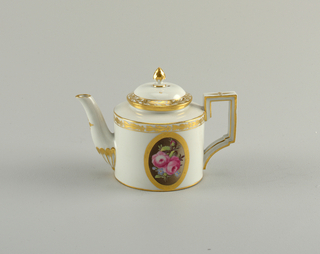 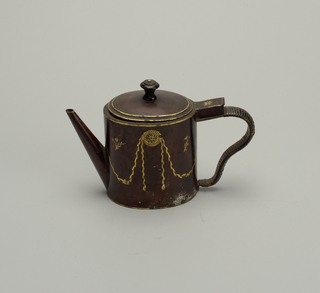 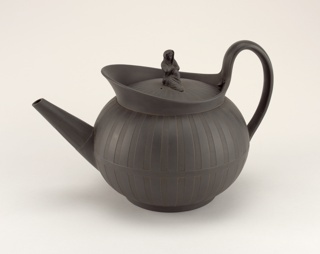 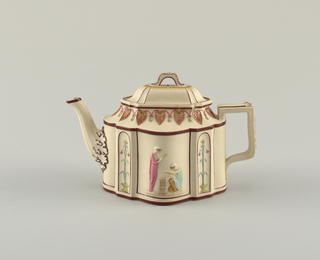 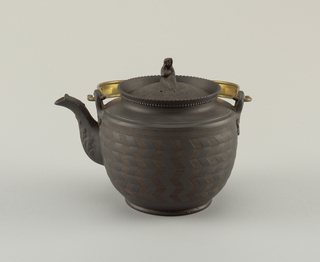 This object was made by Höchst Porcelain Factory. 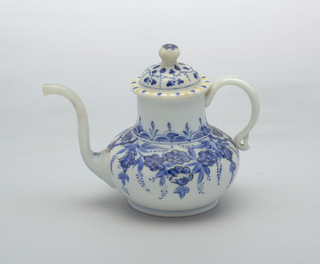 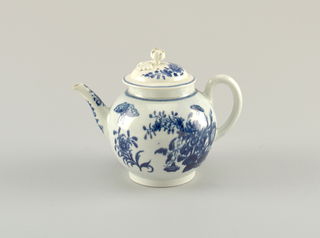 soft-paste porcelain with blue overglaze decoration. 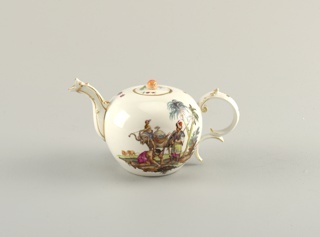 enameled and gilt tôle, wicker.